Many companies are flooded with huge amounts of data available in corporate databases and/or data warehouses. A key challenge is how to optimally manage this data overload and use analytics to better understand, manage, and strategically exploit the complex dynamics of customer behavior. 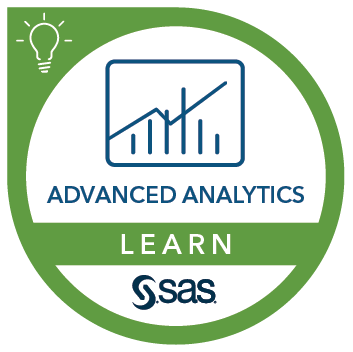 This class starts by giving an overview of the steps involved when working out an analytics project in a practical business setting. After discussing the key data preprocessing activities, this course elaborates on how you can efficiently use and deploy both predictive and descriptive state-of-the-art analytics to optimize and streamline your strategic business processes such as marketing campaigns and/or risk management. Examples of business applications that are covered include credit scoring and risk modeling, customer retention and response modeling, market basket analysis and cross-selling, customer lifetime value modeling, and Web intelligence and social network analytics. You receive extensive practical advice and guidelines on how to put all the analytical tools and concepts to work in a real-life setting. The class focuses on analytical concepts, techniques, and methodologies and their applications. Software demonstrations illustrate and clarify the concepts, but no hands-on use of software is included. The class includes self-study sections with additional real-life case studies. put analytics to work in a practical business setting. Before attending this course, you should have a basic background in statistics.